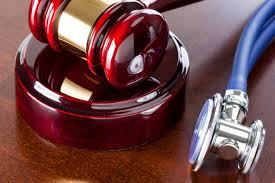 In his recent Opinion in the case of Young v. Jameson Memorial Hospital, PICS Case No. 15-0049 (C.P. Lawrence Co. Nov. 19, 2014 Cox, J. ), Judge J. Craig Cox of the Lawrence County Court of Common Pleas ruled that the Plaintiff was not precluded from asserting a claim of intentional infliction of emotional distress in a medical malpractice claim. According to a summary of the Opinion, the Defendants filed Preliminary Objections to the Plaintiff’s Complaint alleging, in part, that the Pennsylvania Supreme Court had not adopted a tort of intentional infliction of emotional distress and that, in any event, the Plaintiff did not set forth allegations of outrageous conduct to support such a claim. Judge Cox noted that the tort of intentional infliction of emotional distress is set forth in the Restatement (Second ) of Torts §46. Although the trial court agreed that the tort had not been explicated accepted, or rejected, by the Pennsylvania Supreme Court, appellate case law, including cases from the Pennsylvania Supreme Court, the Pennsylvania Superior Court and the Third Circuit consistently addressed the tort of intentional infliction of emotional distress despite the fact that the Supreme Court had not officially adopted the Restatement standard. Accordingly, there is no indication in the case law that the Plaintiff asserting such a claim had been precluded from recovery other than for an inability to set forth adequate facts or proof in support of such claims. As such, Judge Cox ruled in Young that the Plaintiff was permitted to attempt to prove such a claim. The court went on to note that the Plaintiff had asserted sufficient facts that, if proven, would sustain a claim for intentional infliction of emotional distress. The underlying facts in this case involved a hospital staff member and/or a doctor who informed the Plaintiff that her child was stillborn after a birthing procedure when, in fact, the Plaintiff gave birth to a health child. The court additional overruled the Defendant’s Preliminary Objections to the Plaintiff’s for punitive damages on the grounds that the conduct necessary to support the claim of intentional infliction of emotional distress was beyond that which would also entitle Plaintiff to a recovery of punitive damages for other torts. As such, the trial court overruled the Defendant’s Preliminary Objections in this regard. The court also overruled Preliminary Objections asserted by the Defendants with respect to other issues and also denied other Preliminary Objections asserted. I do not have a copy of this decision. Anyone wishing to secure a copy of this decision may contact the Instant Case Service of the Pennsylvania Law Weekly by calling 1-800-276-7427, providing the above-referenced PICS Case Number and paying a small fee. Source: “Digest of Recent Cases”, Pennsylvania Law Weekly (January 20, 2015).